Explore the wonderful Pembrokeshire National Park, with the chance to see dolphins and seals. Some stunning coastal walks along the around Ceredigion, Cardigan Bay and the wildlife rich Cambrian Mountains, great for walking and mountain biking. Superb beaches and fishing harbours. 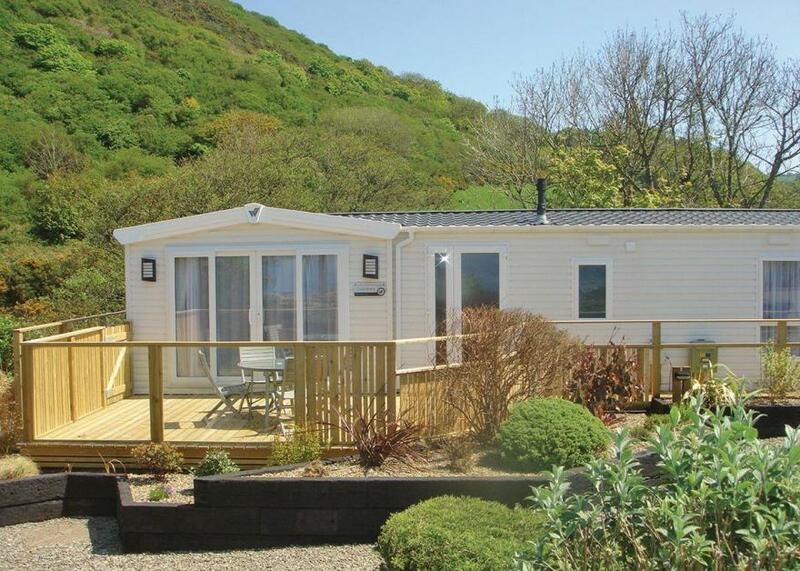 8 Harbour View sits on a holiday park n the town of New Quay in Ceredigion, Wales. Its three bedrooms include two doubles, one of which has an en-suite, as well as a twin room, there is also a family shower room, the property can sleep six people. Inside, also find its open-plan living area which contains a kitchen, a dining area and a sitting area with an electric fire. The exterior offers off-road parking for three cars as well as an enclosed lawn and a decking with furniture. 8 Harbour View is a tasteful getaway placed simply perfectly for a fun-packed break by the sea. Short Description Good discounts off our nightly rates for stays of 7 nights or more. 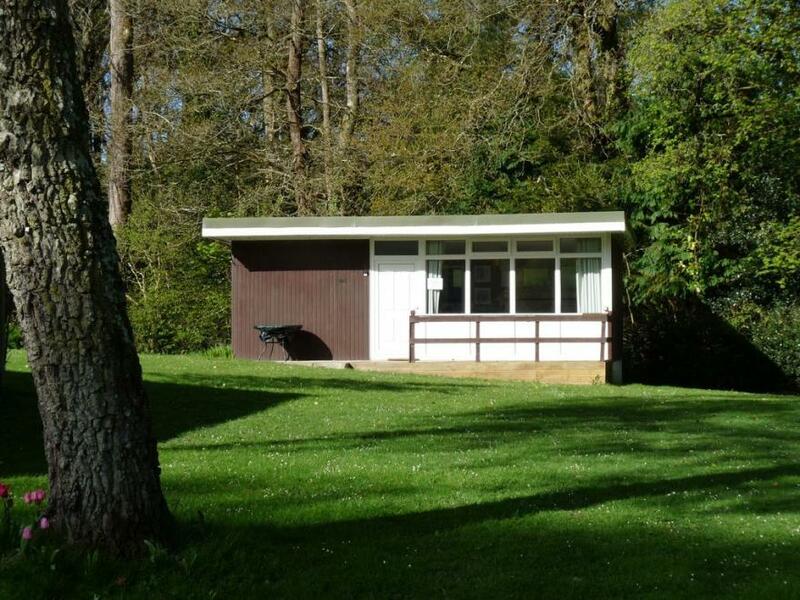 This well-appointed detached Chalet is set on a small peaceful site amongst woodland. The local beach and harbour town of New Quay is only 5 minutes away. The chalet has its own patio area and sleeps up to 4 people and is a pet free (no pets) accommodation. Looking for Larger family groups? we have 2 other chalets very close by (on the same site) Little Oak 82 and Little Elm 70. 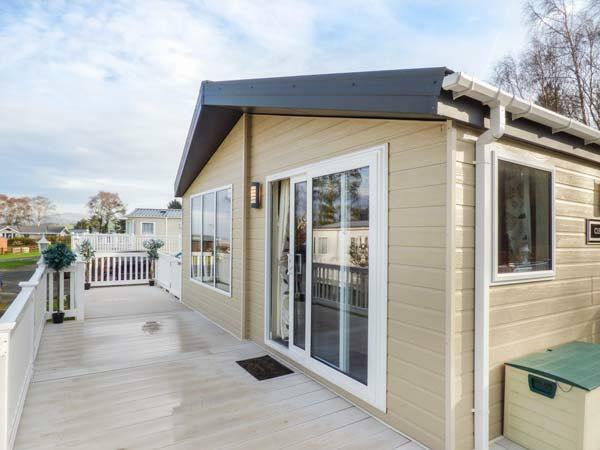 Detailed Description Located close to car parking, and with the children’s play area nearby, the detached Little Ash Chalet 95 is situated in a peaceful position on Woodlands Park. 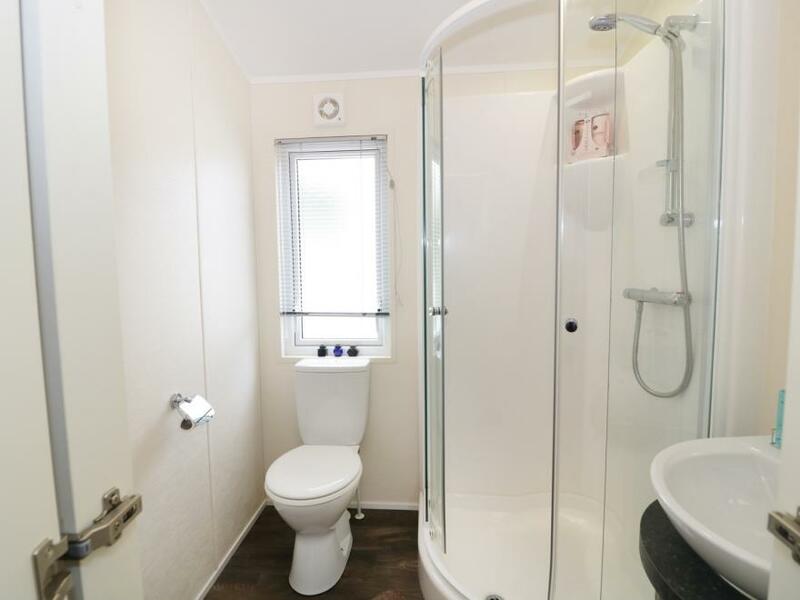 Offering a double bedroom, twin bedroom, bathroom with shower enclosure. It has an open plan kitchen/living & dining area. The chalet offers a welcoming accommodation, it has heating and is perfect for any time of the year. Lovingly presented and styled, its interiors are neutral but inviting The Chalet comfortably sleeps up to 4 people, it has a double room and another bedroom with twin beds. The neutral colour scheme provides a warm and relaxing atmosphere. There is a good size bath room with a toilet, hand basin and shower enclosure. The living room has 2 sofa’s to relax on, TV with built in DVD and Bluetooth wireless music docking station allowing you to relax and unwind. The dining table can seat four comfortably. The kitchen is equipped with everything you need to cook for yourselves whilst staying if you choose to do so or enjoy the local pubs and restaurants in the nearby coastal towns. Outside is a small patio area for you to enjoy and take in the peaceful surroundings that woodlands has to offer. Woodlands Park are proud to have won the prestigious David Bellamy Conservation Gold Award 2018 - look out for the B&B Bee & Bug insect hotels around the park. ‘Simply Welsh’ at Woodlands Park, is a farm shop/licensed cafe selling the wonderful food available in this area; ideal for stocking up. They will also be offering a range of frozen homemade meals to take away. Simply Welsh will also be a licensed café selling home cooked meals where you can enjoy a meal and a drink and before a stroll back to your Chalet Retreats chalet. If you are looking for more accommodation for a larger family getaway. We have 2 other chalets (Little Elm and Little Oak) all close by so we can accommodate larger family groups. Acorn Lodge is a traditional single-storey log cabin situated on the Woodland Lodge Holiday Park, three miles from St Clears. This property sleeps six people and has three bedrooms, consisting of one double, one twin and one bunk room, together with a bathroom with whirlpool bath and a sauna room with separate shower. The property also has an open plan living area with kitchen, dining area and sitting area with electric stove. Outside there's off road parking for two cars and a veranda with bench. 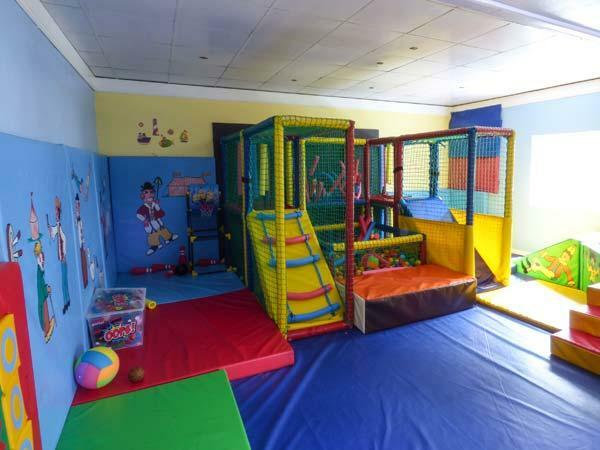 Acorn Lodge is an ideal family base. 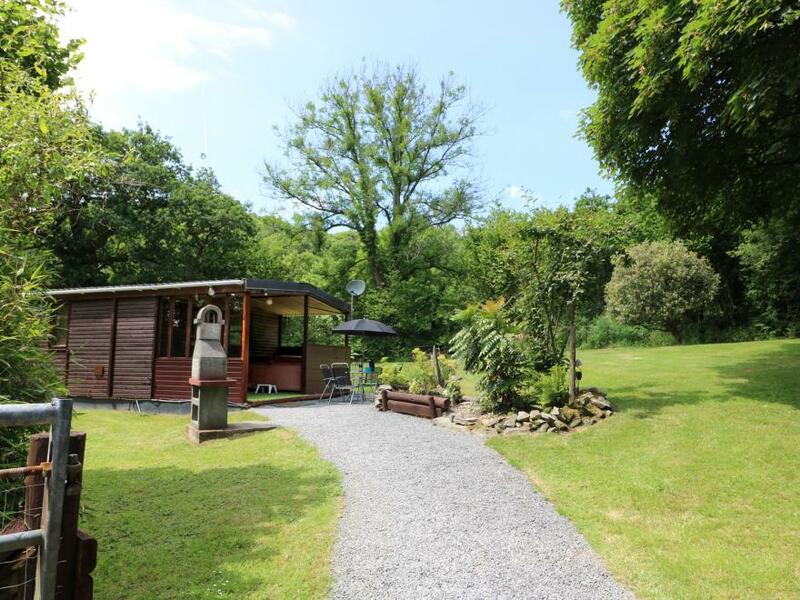 Brook Lodge is a lovely detached property resting on Wern Newydd Smallholding in Llandysul. It comprises two bedrooms; one double with an en-suite basin and WC and one child's bunk room. There is also a kitchen and a sitting room with a dining area and electric fire. Outside is the surrounding garden and fabulous countryside. The private hot tub sits at the front of the property and there is ample off-road parking. Brook Lodge is an excellent base for you and your family to be at one with the outdoors. 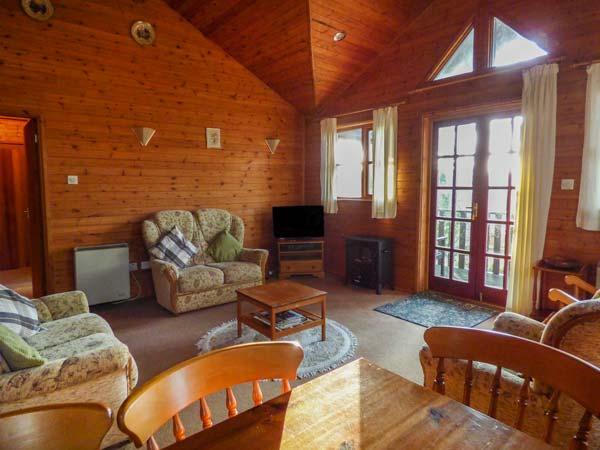 Captain's Cabin is a nicely presented lodge situated just a 5 minute walk away from the beach and Clarach Bay near Aberystwyth. Comprising two bedrooms; a double and children's bunks, this property can sleep four people, however there is an additional sofa bed in the living room for a fifth guest. Inside is also an open-plan living room with a dining area, a kitchen and a family bathroom with a bath, shower over, basin and WC. Outside is a veranda with seating for 2 and off-road parking for 2 cars. Captain's Cabin is an ideal little country escape, perfect for exploring the west coast of Wales. Chalet 95 is a comfortable detached chalet on a holiday village just three miles from Aberystwyth, Wales. The cottage can sleep four people in one double bedroom and one bedroom with adult bunks as well as a family shower room. Also in the cottage is an open plan living area with kitchen, dining area and sitting area with a double sofa bed. Outside there is off road parking for one car and decking with furniture. Chalet 95 is an ideal base from which to explore this stunning part of the country. Luxury holiday home with one double with ensuite WC and one twin. Shower. Double glazed and centrally heated. Open plan living area with large French doors leading to patio with garden furniture. 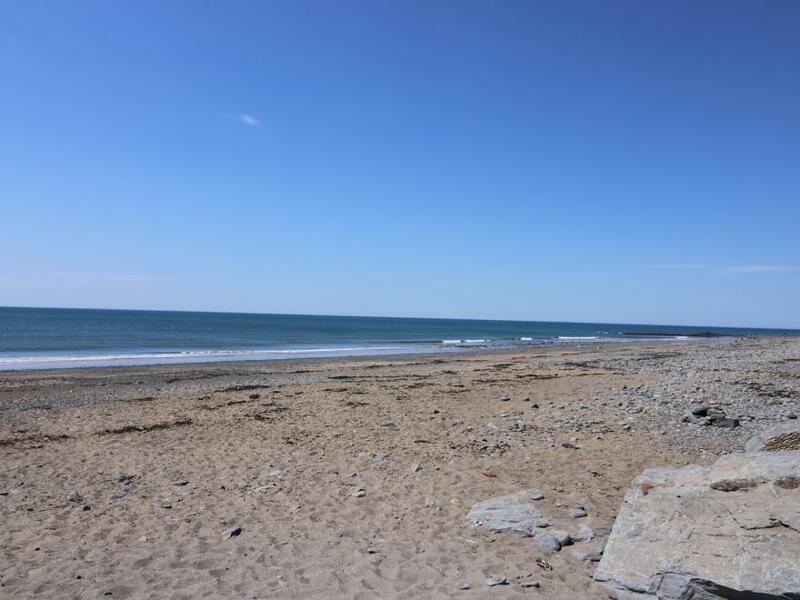 Early 3.00pm check in.. A stunning hilltop setting, above the breathtaking sandy beach of Tresaith, this park offers you a peaceful holiday location, just a short walk from the sea. The beach boasts some of the safest and cleanest waters in West Wales and its very own 100ft waterfall, cascading from the cliffs above. Located on the Ceredigion coastal path, with so much to see and do in the area and a choice of good quality accommodation, the park is the perfect choice for couples and families looking for a relaxing and peaceful base to explore the beautiful coastline.. A stunning hilltop setting, above the breathtaking sandy beach of Tresaith, this park offers you a peaceful holiday location, just a short walk from the sea. The beach boasts some of the safest and cleanest waters in West Wales and its very own 100ft waterfall, cascading from the cliffs above. Located on the Ceredigion coastal path, with so much to see and do in the area and a choice of good quality accommodation, the park is the perfect choice for couples and families looking for a relaxing and peaceful base to explore the beautiful coastline. 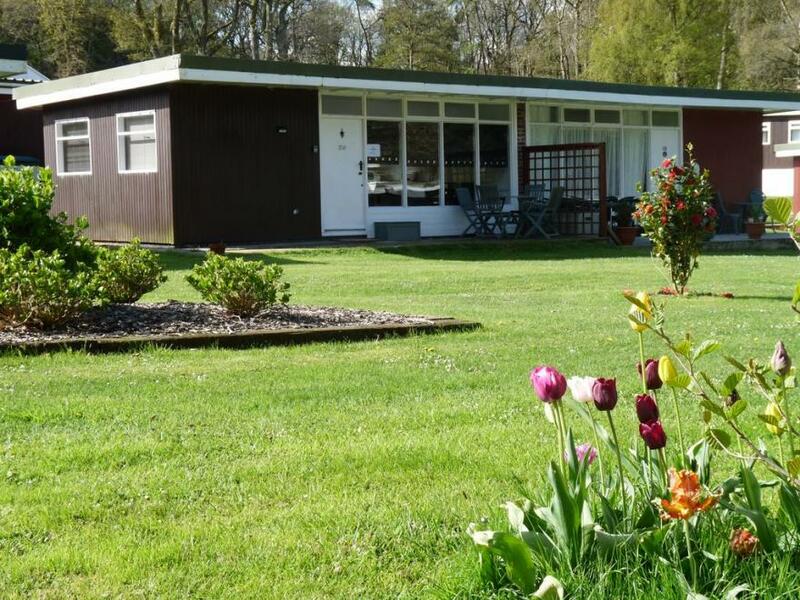 Clearview Lodge is a wonderful detached lodge situated on the popular Brynowen holiday park in West Wales on the outskirts of Borth, six miles from the town of Aberystwyth and can sleep six people in one double bedroom with en-suite and two twin rooms. There is a family bathroom. The rest of this ground floor lodge contains an open plan living area with kitchen, dining are and sitting area with electric fire. To the outside there is off road parking for two cars and a wrap-around veranda with furniture. Clearview Lodge is a lovely lodge for families or friends looking for a seaside break away.